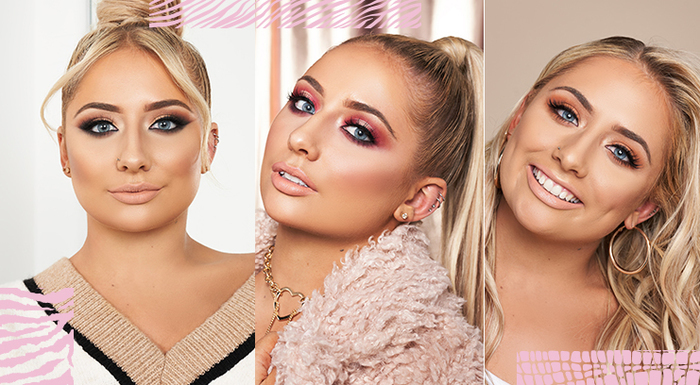 If you were beyond excited about Jordan Lipscombe’s palette collection, you may want to sit down/update your Christmas list because in our second influencer collab we’ve released three more palettes, this time with YouTube star Saffron Barker. 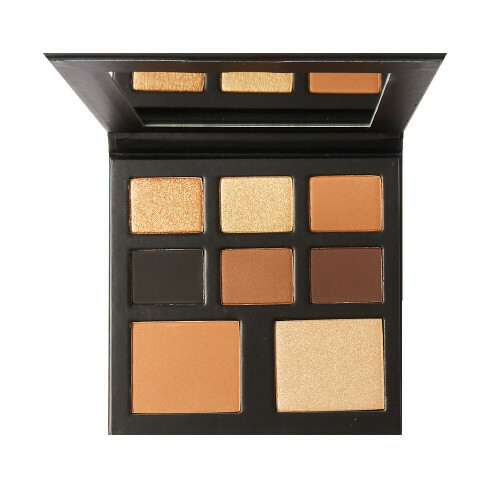 Each palette contains six eyeshadows (our eyelids are crying out for the bright metallics and neutral mattes), plus two cheek colours – jumbo shades which can be used as blusher, bronzer, or highlighter as well as eyeshadow. Every shade was chosen and named by Saffron herself, and the best part is that they’re all super wearable – you don’t need to be a pro at blending or cut creases to use them – all you need is your favourite brushes and plenty of mascara. Even better, the palettes will be launching today, so you can score yours now and start experimenting on the weekend, ready to perfect your look for Christmas. 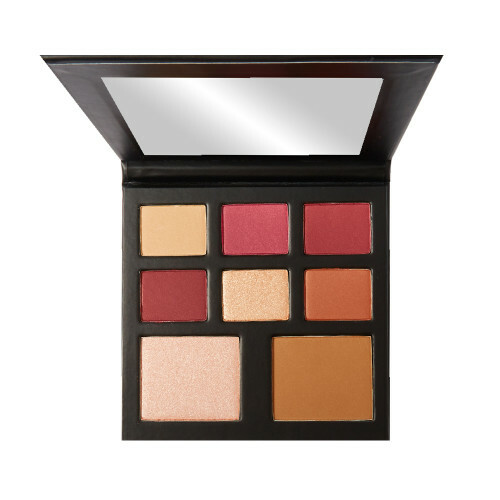 Warm red and burgundy tones with a soft matte contour and an icy pink highlighter. Everything you need for a classic smoky eye. Plus, a pale gold highlighter and deep bronzer for all your glow-getting needs. 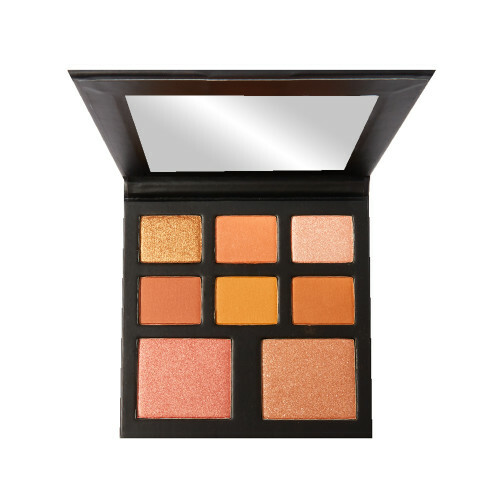 Pretty peachy shades accompanied by a warm bronze highlighter and a sunshine-inspired blusher.